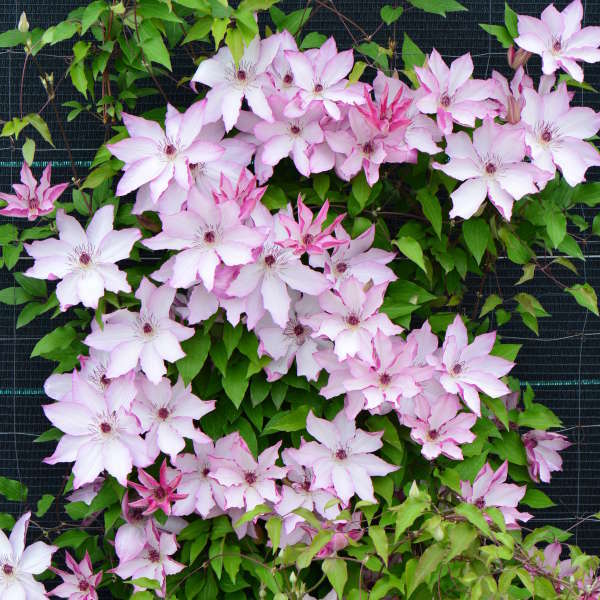 This elegant Japanese hybrid Clematis produces exquisite, large 5-7”, white blossoms which are flushed with magenta pink at the margins and on the reverse side. As the delicate petals unfurl, they reveal a prominent central boss of deep purple stamens. Some report this selection to be lightly fragrant. The word “omoshiro” translates directly to white face, but is closely related to the word “omoshioi” which means interesting or fascinating. 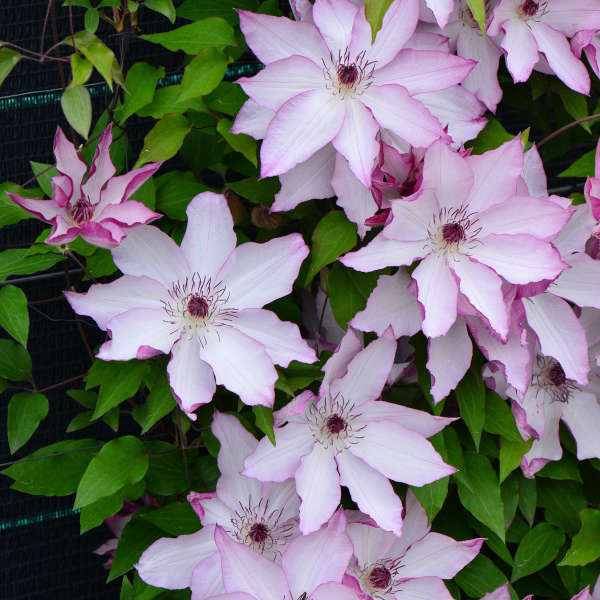 Both words accurately describe this unusually beautiful Clematis. 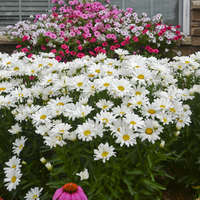 These varieties begin to bloom in early summer, with the first flush of flowers appearing on the previous year's growth. This is followed by a second flush flowers appearing on the new growth. These flowers will likely be smaller than the first ones and flowers that were double the first time may be single the second time.